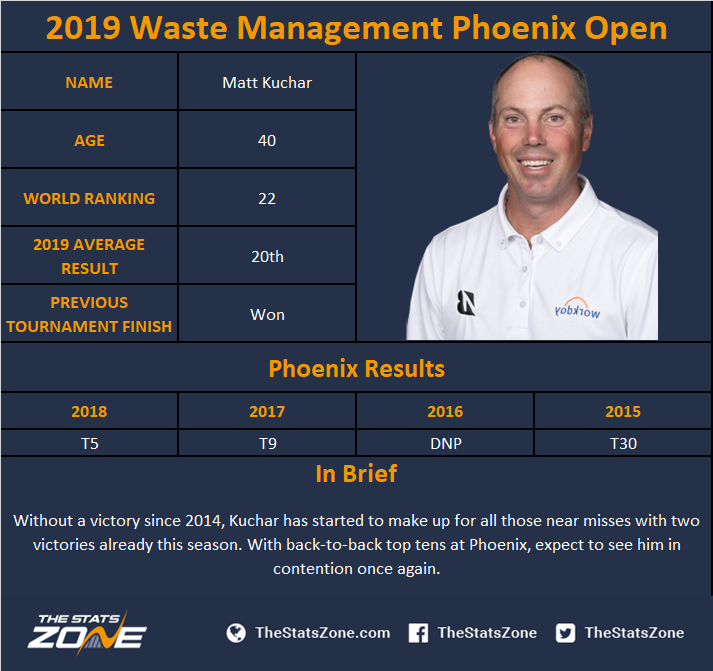 What is the predicted weather for the 2019 Waste Management Phoenix Open? 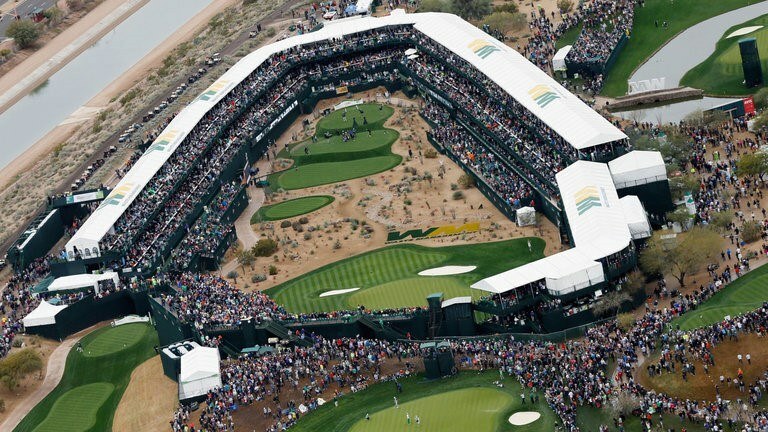 Overcast during the opening round with sun predicted throughout the second round and highs for the week of 17c. Slightly cooler conditions over the weekend and a good chance of showers during the third round. 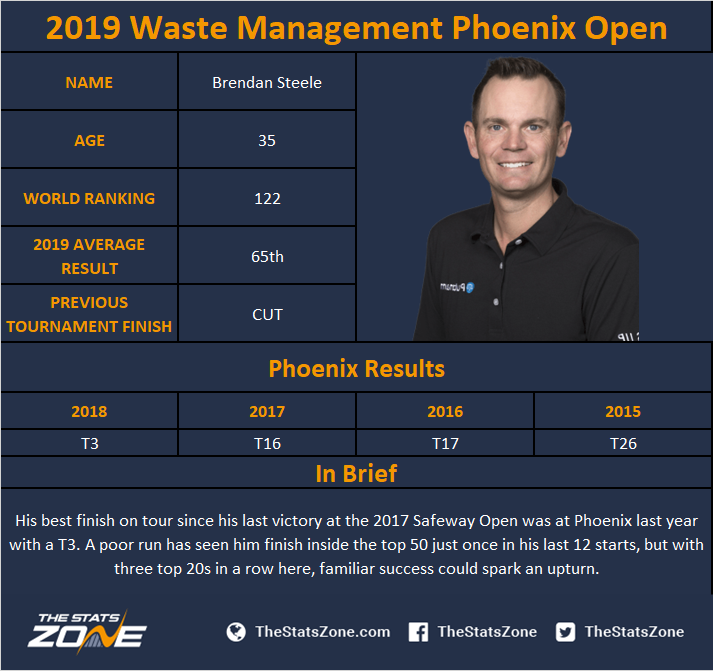 The Waste Management Phoenix Open is regarded as one of the most popular tournaments of the PGA Tour schedule amongst fans and players due to its world famous Par 3, 16th - the ‘Stadium Hole’ - where 16,000 fans wildly cheer the players hitting it close, and perhaps are even louder for those mishitting their tee shots. 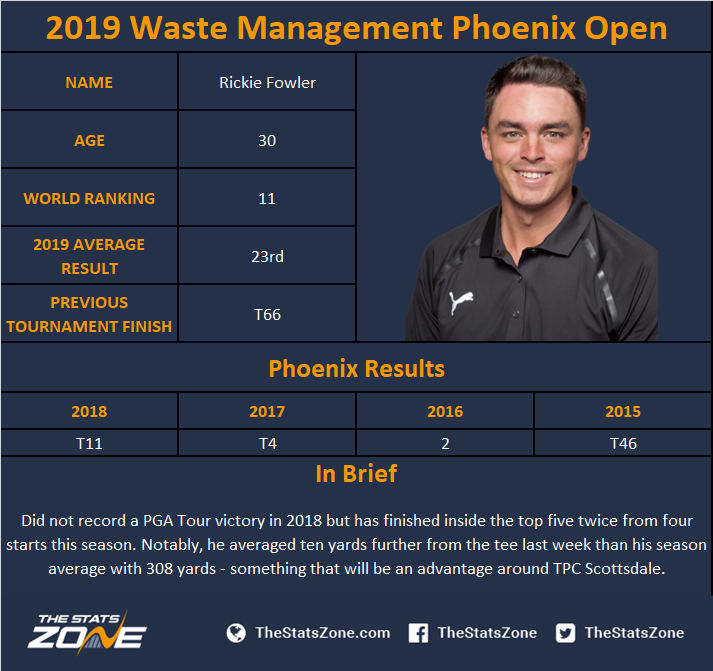 It is little wonder then, that the event has been termed “The Greatest Show on Grass”. 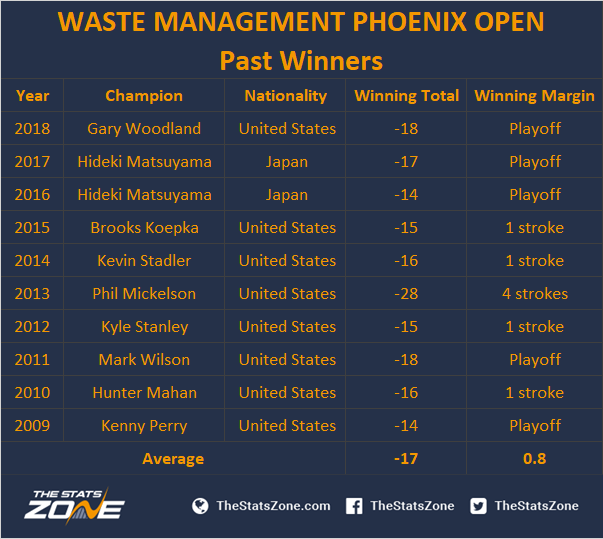 Scoring has always been low in Phoenix, with an average winning total of 17 under par since 2009. Phil Mickelson equalled the tournament scoring record in 2013 at -28. 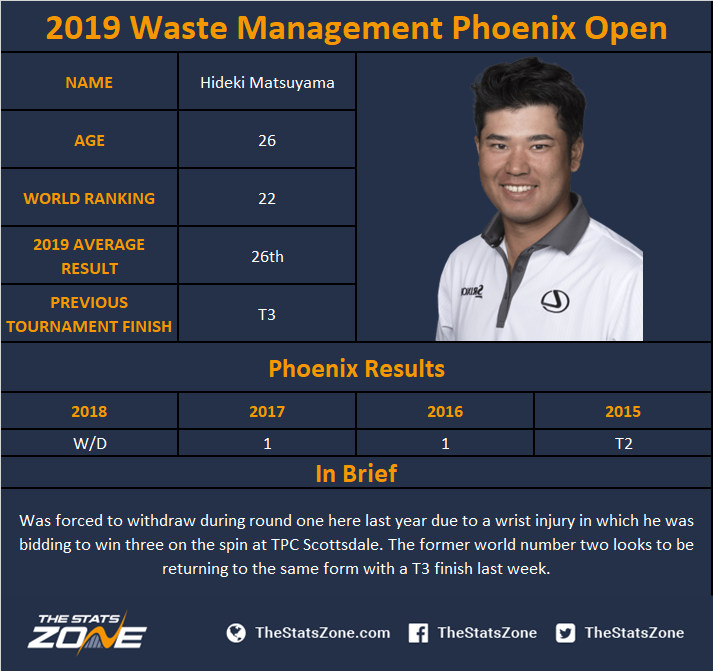 Notably, the leaderboard is often congested, with the winning margin often less than one stroke on average (0.8) and there have been five playoffs in the last ten editions, including three in a row since 2016.